The Cleveland Metropolitan Bar Association’s Women in Law Section and the Northeast Ohio Chapter of the Association of Corporate Counsel honored a select group of female attorneys for making a difference in the lives of other women and contributing to the Northeast Ohio community. The Award was presented on November 6, 2014 at The Union Club in Cleveland with 250 guests in attendance. 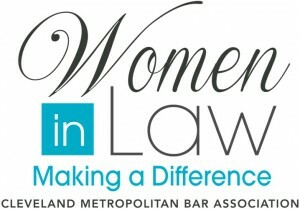 In selecting honorees, several factors were considered: (1) outstanding leadership and innovation at the nominee’s place of employment or relevant industry, (2) significant involvement in mentoring and/or diversity initiatives, and (3) outstanding involvement in non-profit, civic, volunteer or pro bono activities. Dianne DePasquale-Hagerty was one of the recipients of this prestigious award honoring her leadership, innovation and work on behalf of individuals with disabilities and her commitment to the community.